We believe this is the worlds fastest CNC Punch Press, with double the output of conventional machines. Amada’s Contour Tool ensures a high quality smooth cut edge. The Contour Tool works upon a nibbling pitch which is less than the material thickness. This is achieved by the ‘off centre load’ which is supported between the punch tip and stripper, as well as punch body and guide. For components which special radius edges, advantages are a widening of product application without the need for special semi standard tooling. Amada’s Contour tooling is available in ‘A’ Station with an APH punch tip and an Airblow function. A Vacuum Die completes and ensures optimum working conditions. The EM2510 machine has a space of 25mm between the upper and lower turret allowing for high forming operations. 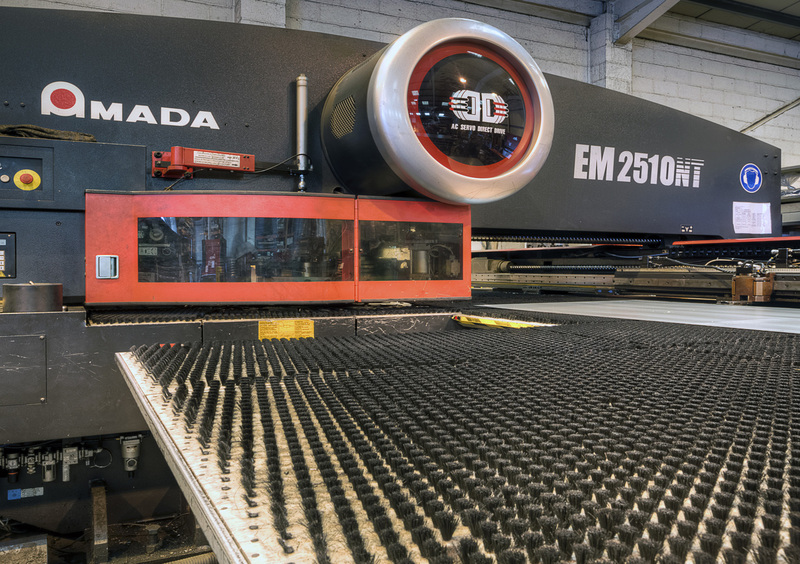 Amada’s Inch Bend Tool forms small flange bends on the EM Machine. The Inch Bend Tool eliminates the time consuming process for Press Brake operators by avoiding small flange bending. Further reducing secondary processes after the punching cell. 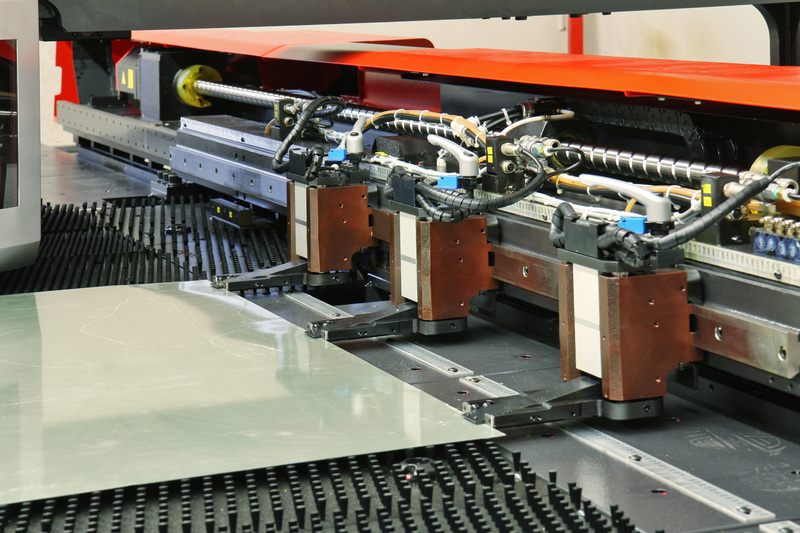 The tooling forms downwards, ensuring that any appearance of burr is not exposed on the components top surface. "High speed, energy efficient electric Punch Press"
Beckwith & Son Engineering Ltd have been established for over 40 years as sheet metal sub contractors serving Essex, London, South East and UK. Specialists in storage engineering systems and manufacturers of museum storage cabinets, art picture racking and metal archive components.